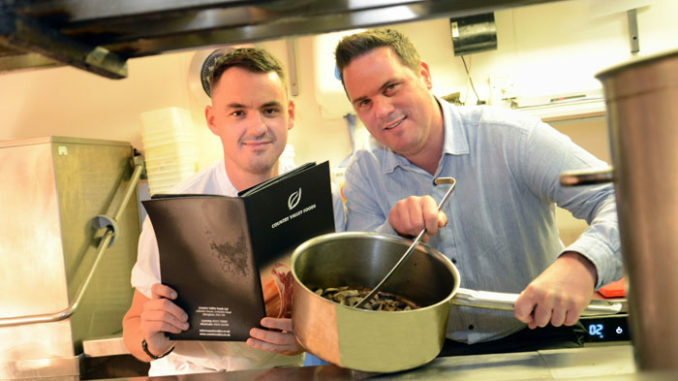 Country Valley Foods, the Billingham-based food service supplier, has appointed the former executive chef from Lumley Castle to put a fresh perspective on sales of its new range of dried, ambient and frozen products. Richard Chilver, who managed the kitchens, menus, and supplies at the exclusive County Durham venue for six years, has returned to the team at Country Valley Foods, where he previously worked until 2010. The experienced chef will be using his inside knowledge of the restaurant business to advise the company about what products are most desired in the kitchen, and showcasing the company’s range of products to clients within the catering industry. James Munro, managing director at Country Valley Foods, said: “We were incredibly pleased when Richard told us he wanted to come back to Country Valley Foods. “He was an excellent salesman eight years ago, when he sold our fresh meats, and we knew he was just the right man to help us promote our new range of dried and frozen goods. “Richard’s experience as a chef gives him a unique perspective, because he can see things from the customer’s side as well as ours, and this will really help us to best serve our clients. Richard said: “Food is a real passion for me, but I wanted a better work life balance than I was getting as a chef. “I decided to return to Country Valley Foods because I know the company and the team, and I wanted to sell products that I believe in. I would use Country Valley products in my own kitchen, so it’s easy for me to promote the products to others. “My previous job means I have a good connection with other chefs, and I can really understand their priorities.